Independence Blue Cross (IBC) headquartered in Philadelphia is one of the region’s largest health insurers. Including its subsidiaries, IBC covers more than 2.2 million members across southeastern Pennsylvania, southern New Jersey and Delaware, and in excess of 3.1 million members overall. 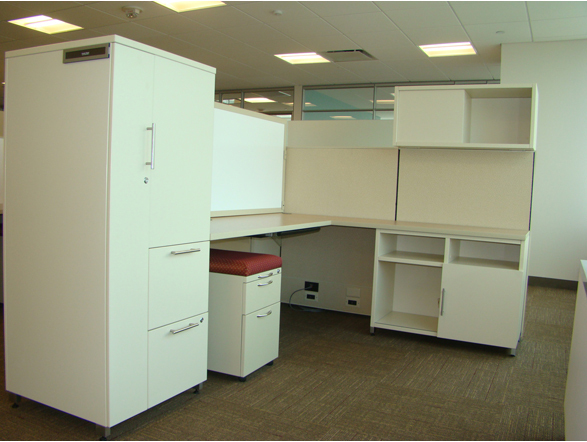 The existing product ranged from 10 to 20 years old and was becoming more costly to maintain and very expensive to reconfigure. 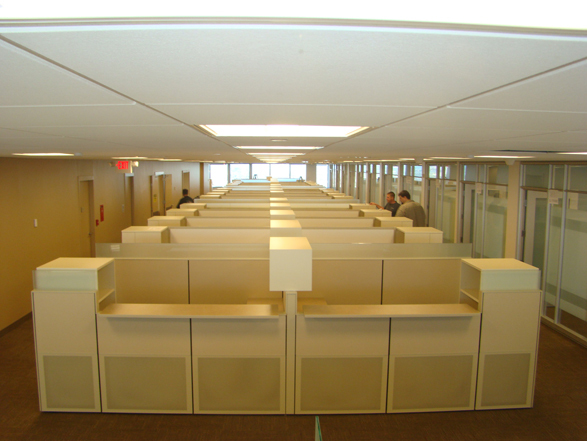 Their goal was to create a new standard that would significantly reduce the internal cost for reconfigurations, reduce the number of typicals, something that would be an upgrade to their existing without breaking the budget and something that is contemporary and would help them attract and retain existing employees. 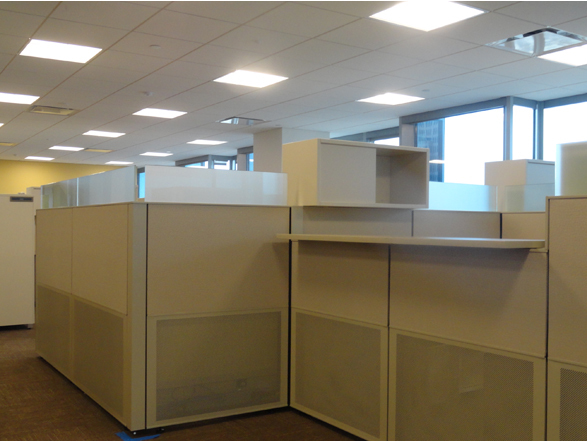 Matrix was chosen for a center spine application for power and communication with Calibrate overheads, towers and storage to create an open natural light sensitive environment while providing the required privacy in a configuration that allows them to change without disturbing the power and data infrastructure. 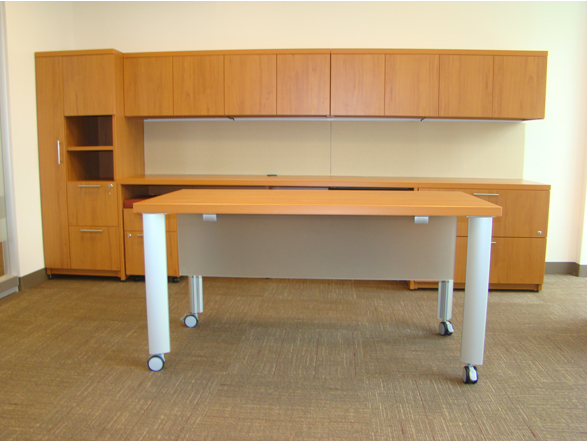 Calibrate was used in the manager offices and Compete Plus in the VP offices for privacy. The work environment not only needs to support the daily work efforts, it also must be flexible to change as quickly as IBC needs to change. In conjunction with AIS’s engineer department IBC developed a vision of the concept that works best for them. Some of the key considerations were: versatility, company image, quality, ability to meet the specification and the ability to deliver at a very aggressive installation schedule.